SINGAPORE, April 16, 2019 /PRNewswire/ — ConnecTechAsia2019, Asia’s Mega Infocomm Media and Technology Event, will be returning this year from 18 to 20 June in Singapore with a focus on emerging technologies enabling the rapid digital transformation of Asia’s businesses and cities. The ConnecTechAsia Summit will be headlined by prolific industry leader, Harriet Green, CEO and Chairman, IBM Asia Pacific, where she will explore how the shift from digital experimentation to scale adoption of new technologies will fundamentally alter the value chains of entire industries and change the way we work and live. A recent industry poll revealed that 94 per cent of Southeast Asian companies are confident their digital readiness will help them stay competitive — with 93 per cent prepared to adopt new technologies to accelerate their digital transformation efforts. Despite the overall optimism, some businesses in the region are still playing catch-up in terms of adoption, while the rest of Asia powers ahead with digital transformation towards greater efficiencies and empowerment. Themed ‘Shaping Future Societies’, the ConnecTechAsia2019 Summit keynote will highlight the new era of business reinvention with speakers such as Harriet touching on a wide span of topics including artificial intelligence (AI), automation, Internet of Things (IoT), blockchain, 5G and more. While regional adoption rates of these technologies are still considerably lower compared to the rest of the world, organisations here have been actively experimenting with technologies such as AI and moving workloads onto the cloud. “A new era of business reinvention is dawning. Organisations are facing an unprecedented convergence of technological, social and regulatory forces. Not only is there a clear need for any organisation to be fully digital in itself; these organisations also need to be able to accommodate high expectations from clients and deal with pervasive interconnectivity. How can organisations deliver on that? That’s key question every CEO and every leader in any organisation has started asking,” shares Harriet Green, CEO and Chairman, IBM Asia Pacific. 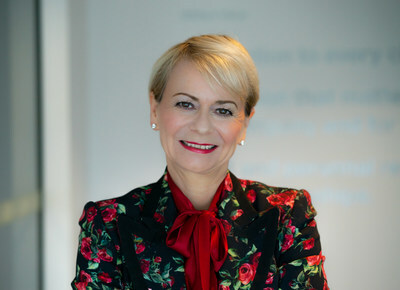 As CEO and Chairman of IBM Asia Pacific, Harriet has also previously led business transformations across four continents, with a proven track record for developing and implementing strategies for profitable growth and increasing shareholder value in global technology, logistics, travel and consumer sectors. The acceleration of digital transformation across the region has generated profound impacts to the way people consume entertainment. The convergence of high speed internet and new forms of audio and visual systems has spurred the demand for virtual (VR) and augmented reality (AR) in the region. This is supported by a recent finding which reported that the amount spent on these two technologies in APAC alone stands at US11.1 billion in 2018, up from US$4.6 billion the year before. This demand for AR/VR is driven predominantly by Esports, with the five-year Compound Annual Growth Rate (CAGR) for AR games forecasted at 90.9 per cent, while VR games registered 54.7 per cent over the forecast period (2017-22). Other sectors that have contributed to its growth include workplace training, 360-degree educational videos and public infrastructure maintenance. The growth of AR/VR, coupled with that of smart cities across the region represents a game-changing milestone for businesses to shape the evolution of the industry for the digital future. With the increasing digitalisation of entire industries, cybersecurity has also become a pertinent issue as organisations grapple with cyberthreats which cost businesses in the region up to US$1.75 trillion in economic losses. Large organisations risk incurring over US$30 million in losses, more than 300 times higher than the average economic loss of a mid-sized organisation. Experts at ConnecTechAsia2019 will be chiming in further on these business imperatives which organisations must bear in mind in order to balance growth and security. This year’s ConnecTechAsia, in its new formula leverages strong partnerships with leading business intelligence and research affiliates such as Accenture, Deloitte, KPMG, Light Reading, McKinsey, Ovum, Tractica, and top brands such as Amazon, Ericsson, Google, Grab, Huawei, IBM, iflix, Mediacorp, Manulife, Microsoft, Netflix, NTT DOCOMO, Singtel, StarHub, Unilever, just to name a few, to deliver an intrinsic platform for the gathering of governments and the industry to Connect, to Shape and to Transform The Future. From 1,800 exhibitors, 200+ conference speakers and hundreds of delegates, power-packed features including free workshops, speciality zones, immersive educational tracks and seminars, attendees will take away from ConnecTechAsia2019, the witness of the convergence of technologies, and knowledge of how these technologies will enable tomorrow’s hyper connected world. With 40,000 attendees from government, telecoms, media and technology (TMT), as well as non-tech enterprise sectors spanning across various industries, ConnecTechAsia will be at the forefront of tech advances for business and the community while connecting key opinion leaders from the region. For more information on ConnecTechAsia, please visit www.ConnecTechAsia.com. ConnecTechAsia is organised by UBM, which in June 2018 combined with Informa PLC to become a leading B2B information services group and the largest B2B Events organiser in the world. Please visit www.ubm.com/singapore for more information about our presence in Singapore.